To state obvious, Ferrari cannot afford any strategy mistakes, and Sebastian needs most likely to win, if he has any (now) remote chances for his next WDC. Kimi's fate is in rather confusing state. In Italy it has been said in several articles, Ferrari announced drivers change internally on Thursday. Comments appeared and then disappeared on social media. So, we can continue to speculate. 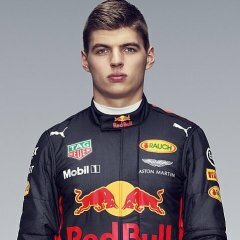 Race - I expect RBR to be strong. Six drivers have fair chance to win. FiA (and British Sky "experts") should stop blaming Vettel for anything and everything, perform their job, and have a look little closer what is happening on the track. But then, I do not set my hopes too high. Blaming game is a favorite game in some countries and their population. A Hamilton DNF, Crash, or Car Issue would make the rest of the season more exciting. I want Ferrari win in clean fight. A DNF, Crash or car trouble as long as Ferrari ins't involved will be a clean win. I just want the gap closer towards the end of season. Right, but I want a race win with the other 5 from Tier 1 group behind him finishing the race competitively. Sign of things to come next year??? Internet is busy trumpeting how Leclerc will mount championship challenge to Vettel, starting next year. With respect to walls - embarrassing episodes do happen. Care to keep on talking smack now that Vettel wrecked his car in FP2 with an idiotic mistake. I feel bad for the Ferrari engineers. They have built a great car this year and it's going to waste. Kimster showin Ferrari just what they WILL B missing !!! On target in FP, can he deliver Where it counts !! Your point was that Vettel stupid mistake should be excused based on the autistic fanboyism you have for him. Now run along and play in traffic. The adults have things to do. He admitted his mistake. I never mentioned it should be excused. Where did you read that? You criticised Leclerc for brushing the wall. I stated that Vettel did the same. You replied that it was different with Vettel because he's the "best driver grid". Therefore you excused his mistake on those retarded grounds. Do you need a graph to make things clearer? You asked me to point out where you said he should be excused. I did so. You respond with another of your autistic rants. It's cute that I offend you so much. I'm having too much fun with this idiot! That wasn't me though. That's just something you cooked up in your aspergers ridden brain. Unlike you with your crappy drawings, I play sport. I used to steal lunch money off guys like you.